Pricing can be scary. Even slight changes can result in upset customers, bad PR, and, worse still, lost deals. Unfortunately, taking a scientific approach to optimizing your pricing can be complicated and time consuming. Getting pricing right involves hard work like quantifying your buyer personas, gathering data on price sensitivity and willingness to pay, and carefully designing A/B tests. Let’s face it, if you’re running an early stage startup, you don’t have the time or resources for all that complicated analysis, research, and testing. The consequence? Pricing doesn’t get touched at many startups. In fact, Price Intelligently found that an average company has only spent 8 hours on pricing. That’s not 8 hours in a year, that’s 8 hours over the company’s entire history! We understand you’re likely strapped for time and resources. You’re probably looking for a simple answer. So what can you do to move pricing in the right direction without weighing your team down. To help, I’ve compiled a set of (relatively) simple pricing tests that early stage SaaS companies can run to jumpstart their growth. Test #1: Just double the price. Who it’s for: Early stage startups; companies that have a self-service component to their business. Why it works: Early stage companies often under-value their products at the outset and there are plenty of reasons why they do that. At such an early stage, it’s useful to try an aggressive price hike to truly see where the ceiling is. Example: StatusPage.io, the hosted status communication and reporting tool, started out in 2013 with two plans (free and $49/month). They quickly realized that churn was low and customers loved their product. These factors led them to start charging for their free plan and to push up the prices of paid plans by 2-8x, as explained by co-founder Steve Klein. It worked incredibly well, so well in fact that StatusPage repeated the trick in 2015 and then again in 2016. Ways to de-risk it: Apply the pricing changes only to new customers, grandfathering existing customers at the old price; consider using the upcoming pricing change as a way to create urgency for those already in the funnel (e.g. “buy in the next week to avoid the price increase!”). How to measure success: Measure changes to conversion/win rate, average revenue per user, overall MRR, and churn. Keep in mind that even if conversion drops in half, the higher price point and better gross margin % may still make this the right strategy for your business. Test #2: Add an incremental 10% to your proposals until 20% of buyers strongly object to pricing. Who it’s for: Early stage startups; companies that do not publish pricing; companies that have an inside or field sales model. Why it works: If you’re a SaaS company with a customized, negotiation-based sales process, it can be very difficult to test pricing and gauge feedback from the market. But you can look for clues from your buyers. When you tell the buyer your pricing, do they not even bat an eye? Do they tell you that it’s less than they expected? Or, do they so strongly object to your pricing that it shuts the conversation down? You should aim for a healthy percentage of qualified buyers – let’s call it 20% – who strongly object to your pricing. If you go beyond that figure, you may be cutting yourself out of too many deals. If you go under it, you’re likely leaving money on the table. Example: You can read more about this test on Close.io. Ways to de-risk it: By testing higher prices in relatively small increments, you won’t put too much revenue at risk. Also, because you don’t publish pricing, the overall risk for this type of experiment is relatively low. How to measure success: Measure changes in win rate, the length of sales cycle, and the % of qualified opportunities where price is the primary reason for losing a deal. Who it’s for: Early stage startups; companies that have a mix of customers of different sizes, but have historically focused on SMB. Why it works: Enterprises don’t buy software like other companies. They are much more risk averse and much less price sensitive. The last thing an enterprise buyer wants to do is to roll a new solution out across their entire organization and have it fail – it doesn’t matter if that solution was half the cost of something else on the market. In some cases, a low price could signal to an enterprise buyer that a solution is just a toy and not truly enterprise-grade. Example: When Zendesk started selling into the midmarket and enterprise space, they initially charged only a small premium for the offering. Demand failed to materialize. Then came a key insight: demand actually increased as Zendesk tested higher price points, as described by former CMO Bill Macaitis to Tom Tunguz. The enterprise segment of the market was skeptical of solutions that were too cheap, and fine paying up for a solution that truly worked. Now Zendesk’s enterprise plans cost 5-10x the standard plans. Ways to de-risk it: Make sure you have the capabilities to actually serve the enterprise market – customer success, professional services, RBAC, single sign-on, security features, SLAs, etc. Check out Replicated’s guide on building enterprise-ready products here. How to measure success: Measure win rates, average deal sizes, and sales cycle lengths among the midmarket and enterprise segments. Test #4: Put a usage cap into each of your tiers. Who it’s for: Companies that have either flat rate plans or charge based on seats, but not based on usage. Why it works: The evidence is clear: the fastest growing companies expand and upsell their customers at rates far higher than slower growers. 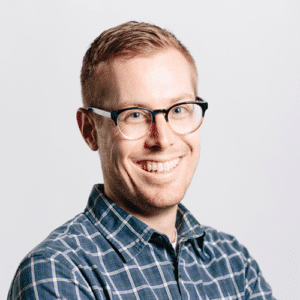 These fast growers see on average 109% net dollar retention, which means that $100 from a customer in month 1 turns into $109 in month 13 even after accounting for churn. They achieve such high net retention rates by leaving themselves multiple levers in their pricing to grow an account over time. Usage makes an especially great pricing lever because it generally grows over time and is a strong predictor of the value of your solution to a given customer. Example: HubSpot, the inbound marketing and sales software provider, has two main axes to expand an account over time. The first, and most obvious, is based on the features that are included for a customer. HubSpot has five editions, with increasing amounts of features as a customer moves from Free to Starter to Basic and so on. The second is based on usage, specifically the number of contacts in a customer’s database that they want to market to. 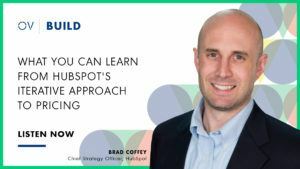 Including a usage element in their pricing gives HubSpot a stake in the success of their customers: as a customer has success with inbound marketing and generates new contacts, HubSpot naturally makes more money. How to measure success: Measure usage patterns by account, trends over time and by cohort; monitor logo retention and net dollar retention rates by cohort. Test #5: Introduce a ‘procurement killer’ plan at $249-499 per month. Who it’s for: Companies getting blocked by finance and/or procurement on deals; companies with very long sales cycles and low win rates. Why it works: Does this sound familiar? You’ve just spent months and months working with an account, conducting countless demos, identifying champions internally, etc. only to find that your deal gets blocked by procurement. What if you had a fall back that got your product into the hands of your champion and set you up to catalyze a larger deal the next year, after the customer was already successful with your product? In many cases, department heads have expense approval power of up to $500 per month. If you had a month-to-month offering that’s under this amount, the department head could just put it on their credit card without needing formal approval, thereby cutting out procurement entirely. Example: Many SaaS companies have plans that cost between $249 and $499 and can be paid for with a credit card. If we limit our search to just marketing tech vendors, these companies include Drift, Hootsuite, Brightcove, WP Engine, Hotjar, Moz, Unbounce, Litmus, and many more. How to measure success: Measure adoption of the ‘procurement killer’ plan, changes in overall win rates, conversion of these accounts into enterprise-wide deals, and cannibalization of enterprise-wide plans. Have you tried these or other simple pricing tests? We’d love to hear from you and learn about your results! Let us know in the comments or tweet to @poyark and @OpenViewVenture.